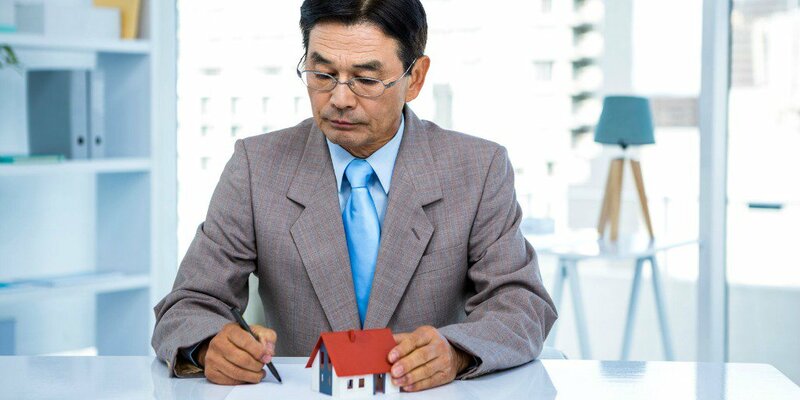 When you look at your Real Estate Errors and Omissions (E&O) Insurance policy and see “$500,000/$500,000” limits do you know exactly what each number means? When you’re considering something as crucial to the survival of your business – and the protection of your family’s personal assets — it’s important to understand what every element of E&O coverage might mean for you. Here are the 4 basics of coverage limits that determine how much coverage you will receive in the event of a claim (or claims) during your policy period. The first number is your maximum limit paid per individual claim. So if you have one claim that exceeds the per-claim limit, you will have to make up the difference out of your own pocket. Claims can be costly, even for frivolous claims. You’ll want to make sure you are adequately insured, so you don’t end up with a claim that could destroy your family’s savings – or your business. So, how do you decide how much coverage you need? You want to consider the level of risk you have in your business. If you perform a large variety of services, you have more exposure to various types of E&O claims. Selling higher-value homes means your risk of high-dollar claims is increased, so you may want a higher per-claim limit. Even the number of homes you sell or anticipate selling should be a consideration. For example, a real estate agent selling 20 homes a year may want $1,000,000 in real estate E&O coverage, whereas a person selling 5-7 homes may choose to buy a $500,000 aggregate policy limit. It’s important to find out exactly how claims expenses like legal fees might really be handled under any E&O policy you consider. For any claim you win, legal defense fees will be the majority of your claims expenses. And for claims where you’ll need to pay a monetary amount as part of a settlement, legal fees can frequently be comparable to or higher than the settlement amount. When a policy cites an overall “policy limit”, does that have to cover all claims costs – settlement amounts, court and filing fees, and legal fees? Should a claim be made against you and the other party is awarded damages (meaning they won), there may be defense costs such as court costs, filing fees, attorney costs, etc. — all expenses that are separate from the amount of money awarded to the other party. With some policies, if a claim is made against you and the other party is awarded damages, the amount of money awarded to the other party and the amount of your defense costs comes from the same coverage limit. This is known as Claims Expense Inside the Limit (CEIL). In other cases, the amount of money awarded to the other party is under one coverage limit, while the amount of money used for defense is under another coverage limit. This is Claims Expense Outside the Limit (CEOL). If you elect to have one limit for both defense costs and damages, you’ll have a Claims Expense Inside the limit policy. If you want more coverage – with a coverage limit for defense costs that is separate from your coverage limit for damages, a Claims Expense Outside the Limit policy is what you want. With CRES, you have a separate limit for attorney defense costs EQUAL to your policy limit (standard in most states, optional in some states). When you have a $500,000 policy limit with CRES, that also means you have a second equal $500,000 limit for attorney defense fees (a Claims Expense Outside the Limit policy). The policy retention is the amount of money you pay out of pocket before your insurance kicks in. Be sure to find out exactly when you might have to pay a retention – and when you might not. With CRES, the retention applies to settlement damages (the amount of money awarded to another person to settle a claim or if they win a lawsuit against you). If the other party is awarded settlement damages, you would pay your retention amount first. Then, CRES would pay any awarded damages remaining after the retention (up to your policy coverage limits). Are there ways to reduce your retention? Be sure to ask any E&O company you might be considering. With CRES, when you use CRES Qualified Home Warranties, your retention can be reduced by up to $5,000. Ask your E&O provider about whether you’ll still have to pay a retention to cover legal fees when there are no damages awarded. For example, what if you’re faced with a claim, and your attorneys win the lawsuit and no damages are awarded? In this case, CRES will cover your legal costs (up to your policy limit) without you having to pay your retention. CRES Insurance Services has a glossary of real estate E&O insurance terms (lots of them) that you can access for free to give you a better understanding of how to read your policy and compare coverage options available. We’ve covered four of the top E&O coverage terms that real estate agents ask us about. What other terms do you want us to cover? Tell us in the comments below!